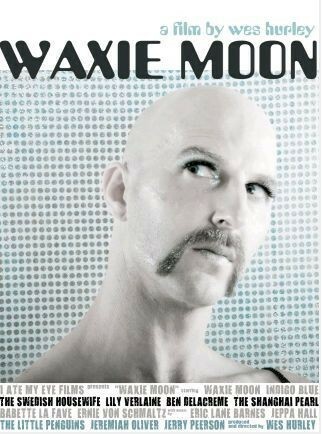 As part of the Rendezvous Jewelbox Theatre’s “Burlesque Month” events, a never-before-seen director’s cut of Wes Hurley’s award-winning documentary Waxie Moon will be screened Thursday, July 19. The expanded version features extra performances and scenes culled from the hours and hours of footage Wes shot- performances that weren’t able to fit in the original version, but inspired him nonetheless. Wes says that a DVD release is imminent as well, and will likely include the extra footage. Get tickets to the documentary’s last public screening in Seattle HERE. Proceeds will help to offset the costs of Wes’s next release, Waxie Moon in Fallen Jewel– which looks to be a romp through the Emerald City with Waxie spanning three decades “as she learns the value of friendship, family and fashion.” Is that Nick Garrison as a suspiciously Klaus Nomi-like character? Could that be Jasper McCann breaking his placid exterior in a fistfight at 58 seconds? Wouldn’t you like to know…. Check out the trailer below- Waxie Moon in Fallen Jewel premieres in Seattle in October. In other news- Miracle!, written and directed by Dan Savage, is at the Intiman Theatre now through August 25. The comedy was choreographed by Waxie Moon and ‘drag coached’ by Jinx Monsoon, who recently starred in Freedom Fantasia. What would happen if Helen Keller and the Seattle drag scene of the early 1990’s smashed into each other? Read more about it over at http://www.intiman.org/plays-events/festival/. ~ by angrytruffle on 07/17/2012.